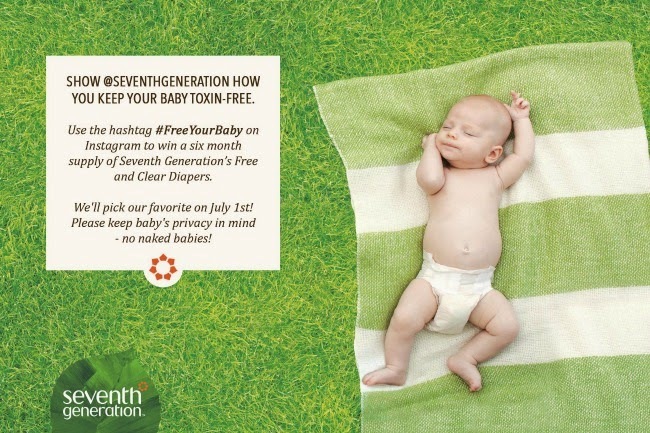 I received the following products complimentary from Seventh Generation through Modern Mom. All opinions are my own. 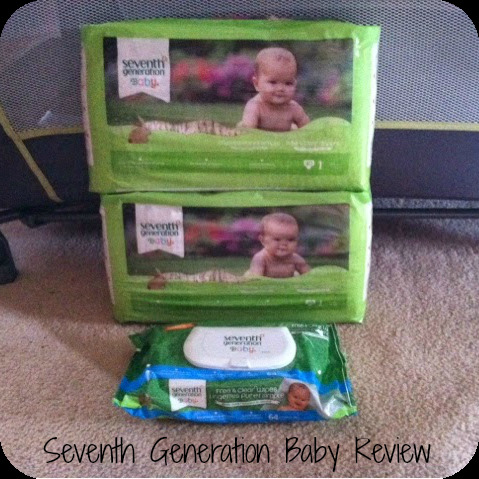 Last month we received Seventh Generation Diapers and Wipes to try out on Peanut. 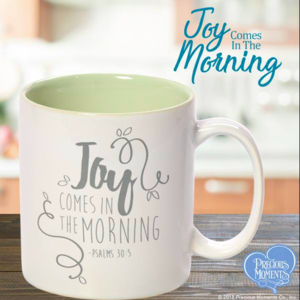 I have heard such wonderful things about this company, but haven't had the opportunity to test them out. 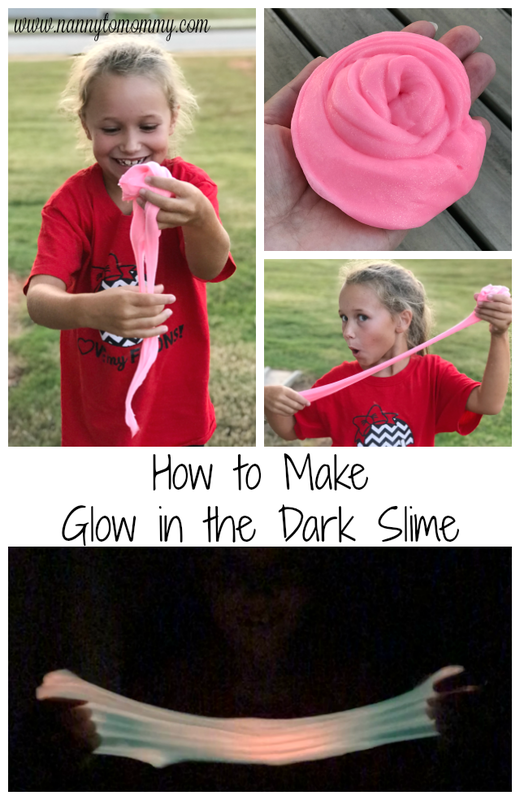 My daughter had such a terrible time with disposables because of all the chemicals, so I was VERY excited to try out their toxic free baby products. - Encourages healthy forest growth and prohibit the harvest of rare old-growth forests. - Prevents loss of natural forest cover & prohibit highly hazardous chemicals from use. - Total transparency of completed forest management audits require public disclosure, even on private land. When I first opened the pack, the first thing I noticed were that the diapers look and felt kind of like a brown paper bag. I'm going to be honest, I don't care for the lack of design/color. BUT the reason they are the brown color is because Seventh Generation does not use any bleaching chemicals or whiteners on their diapers. Which is GREAT because it means no harsh chemicals on those precious little tushies. 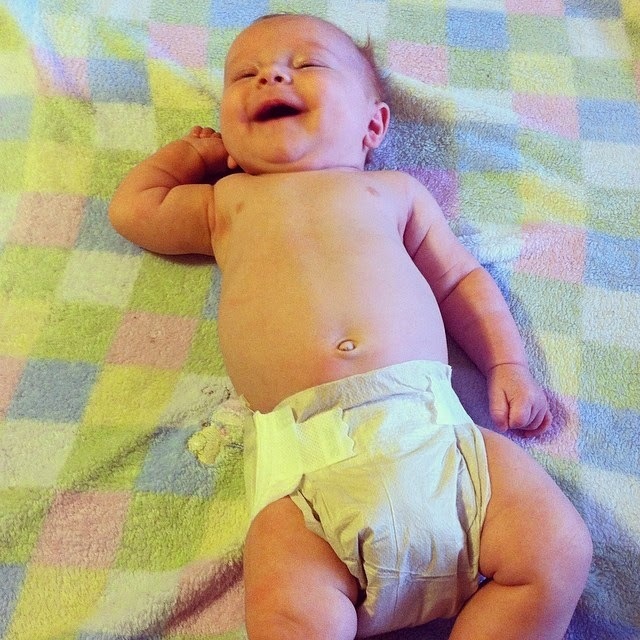 The back of the diapers have the gathering that helps with the fitting on babies. The second thing I noticed is that there was no scent, which is also GREAT because fragrances usually mean chemicals. They made a great day time diaper, but didn't hold up for my little man's "extreme wetter" abilities over night. Which is okay because we haven't found one that will yet. He was also on the tail end of wearing size 1's, which we received. So that could have played a factor as well. We also received Seventh Generation Free & Clear Wipes which are hypoallergenic and free of dyes, fragrance, parabens, & phthalates! I loved these wipes. They are strong and get the job done, even with the stickiest of poops! I used them to wipe my daughter's face as well and she didn't break out! 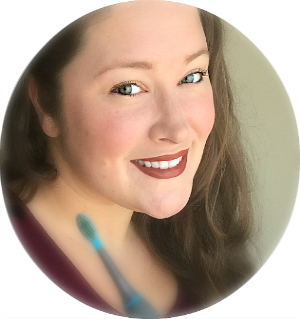 If you are like me and use disposables, but want to have less chemicals in your home and especially around your children, I suggest trying out Seventh Generation!